Florentijn Hofman (above) is at it again and his latest masterpiece is the cat's meow. Known for his gigantic inflatable rubber duckies, the Dutch artist's encore is an enormous pink cat crafted from bamboo and created through the use of 3D printing technology. 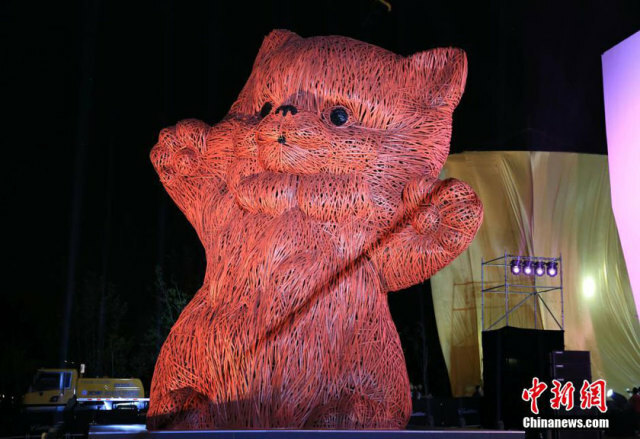 The 30-foot (just under 10 meter) tall pink cat was ceremoniously unveiled on the evening of May 30th in Shanghai's Century Park. 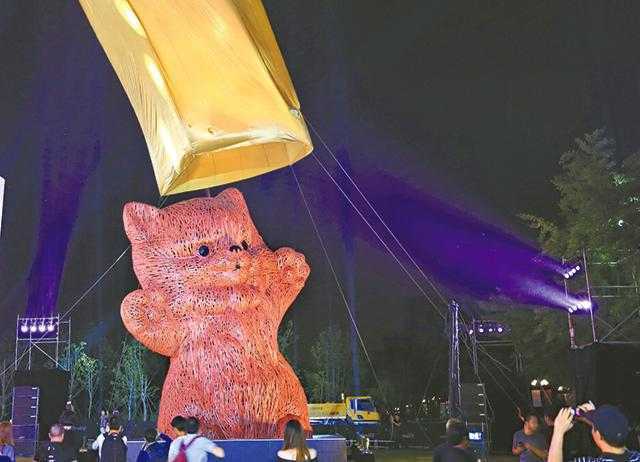 The much-larger-than-life exhibit is the centerpiece of the 18-day Shanghai Design Week being held at the park but luckily for cat-lovers and fans of outrageous art, the colossal kitty is expected to be a permanent park fixture long after the art and design exhibition closes. 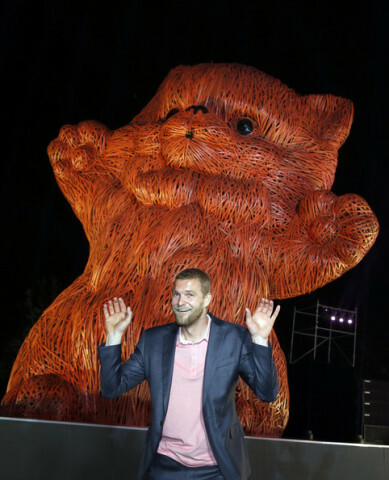 Hofman, who states he was inspired by meeting some of Shanghai's famously friendly stray cats, may have learned from a series of unfortunate incidents involving his huge inflatable rubber ducks over the past few years... or has he?